Nicolai was kind enough to mention my Facebook page but neglected to add that he has one too, and that O&M itself is on Facebook and Twitter. You can read, like, share, and comment on O&M posts at those sites as well as the main site. Which raises the interesting issue, is the blog format obsolete? We started O&M in 2006, an eon ago in Internet time. Since then, Twitter, Facebook, Google Plus, LinkedIn, and other social media platforms have appeared, and they duplicate most functions of the old-fashioned blog. They usually allow cross-posting and let you compose on one and push to the others. So, are blogging platforms like WordPress (which we use) on the way out? Google’s unfortunate decision to kill Google Reader has some people suggesting that RSS itself is dead. What should we do, to stay on the cutting edge? What’s the future of structured online group discussion? Should we create the first MOOOB (Massively Open Online Organizations Blog)? Our Moral Leader at O&M has his own fan page on Facebook. He mixes entertaining libertarian outbursts with info on new conferences and links to cool new papers, articles, and so on–in other words, O&M en miniature. Pay a visit and like Peter’s page. Rebecca Henderson, one of my favorite management scholars, has a new paper (with Karthik Ramanna) on – Milton Friedman and business ethics. Here’s the abstract. In a capitalist system based on free markets, do managers have responsibilities to the system itself, and, in particular, should these responsibilities shape their behavior when they are attempting to structure those institutions of capitalism that are determined through a political process? A prevailing view — perhaps most eloquently argued by Milton Friedman — is that managers should act to maximize shareholder value, and thus that they should take every opportunity (within the bounds of the law) to structure market institutions so as to increase profitability. We maintain here that if the political process is sufficiently ‘thick,’ in that diverse views are well-represented and if politicians and regulators cannot be easily captured, then this shareholder-return view of political engagement is unlikely to reduce social welfare in the aggregate and thus damage the legitimacy of market capitalism. However, we contend that sometimes the political process of determining institutions of capitalism is ‘thin,’ in that managers find themselves with specialized technical knowledge unavailable to outsiders and with little political opposition — such as in the case of determining certain corporate accounting standards that define corporate profitability. In these circumstances, we argue that managers have a responsibility to structure market institutions so as to preserve the legitimacy of market capitalism, even if doing so is at the expense of corporate profits. We make this argument on grounds that it is both in managers’ self-interest and, expanding on Friedman, managers’ ethical duty. We provide a framework for future research to explore and develop these arguments. On the one hand, we might quibble about whether they get Friedman right. Friedman meant in the first instance that managers should pursue their self-interest within the framework of “good” institutions, not in the (Public Choice) context of changing the institutional framework itself. I haven’t actually gone back to see what Friedman says about this, but here is how Henderson and Ramanna interpret the Chicago tradition: “Friedman and his colleagues were keenly aware that capitalism can only fulfill its normative promise when markets are free and unconstrained, and that managers (and others) have strong incentives to violate the conditions that support such markets (e.g., Stigler, 1971). But they argued both that dynamic markets tend to be self-healing in that the dynamics of competition itself generates the institutions and actions that maintain competition and that government could be relied on to maintain those institutions—such as the legal system—that are more effectively provided by the state (on this latter point, see, in particular, Hayek, 1951).” There is a sense in which Chicago saw (and economic liberals in general see) the system as self-healing in the longest of runs: every inefficiency is ultimately a profit opportunity for someone who can transmute deadweight loss into producer’s surplus; and economic growth cures a lot of ills. But one can hardly accuse Chicago of being insensitive to those bad incentives for rent-seeking in the short and medium term. On the other hand, Henderson and Ramanna make a valuable point when they draw our attention to the gray area in which market-supporting institutions (the same term I tend to use) are often forged through private action or through public action in which the private actors possess the necessary local knowledge. There is a scattered literature on this – the setting of technical standards, for example – but it is not a major focus of Public Choice or political economy. Perhaps it is naïve to say that managers in this gray area have an ethical duty to support institutions that make the pie bigger rather than institutions that transfer income to them. But what else can we say? It’s a lot better than blathering on about “public-private partnerships,” which are frequently cover for rent-seeking behavior. One (possibly embarrassing) implication of this stance is that it makes a hero of the much-reviled Charles Koch, who funds opposition to many of the rent-seeking institutions from which his own company benefits. 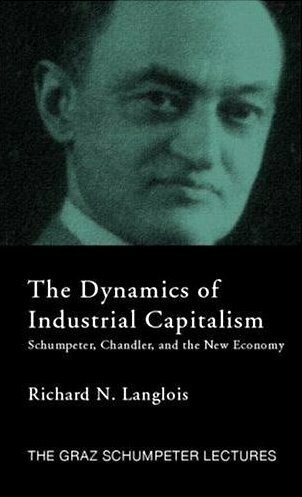 At one point Henderson and Ramanna mention the Great Depression as a “market failure” that incubated anti-capitalist sentiment. The second part of that assertion is certainly true, but the Depression was not a market failure but a spectacular failure of government. (Read Friedman (! ), whose once-controversial view about this is now widely accepted by economic historians and monetary economists, including Ben Bernanke.) The Depression is actually an interesting case study in the gray area of institutions. Before the Fed, private financiers acted collectively to provide the public good of stopping bank panics. Now that role has fallen to the state, with private interests – and their asymmetrical local knowledge – influencing the bailout process. Which system was less corrupt? A more general question: are there any examples of fully private creation of institutions in which the self-interest of the participants led to inefficient rent-seeking? We examine the allocation of scarce attention in team production. Each team member is in charge of a specialized task, which must be adapted to a privately observed shock and coordinated with other tasks. Coordination requires that agents pay attention to each other, but attention is in limited supply. We show how organizational focus and leadership naturally arise as the result of a fundamental complementarity between the attention devoted to an agent and the amount of initiative taken by that agent. At the optimum, all attention is evenly allocated to a select number of “leaders”. The organization then excels in a small number of focal tasks at the expense of all others. Our results shed light on the importance of leadership, strategy and “core competences” in team production, as well as new trends in organization design. We also derive implications for the optimal size or “scope” of organizations: a more variable environment results in smaller organizations with more leaders. Surprisingly, improvements in communication technology may also result in smaller but more balanced and adaptive organizations. Apparently, Dessein has been working on attention models for some time, though I hadn’t noticed. (But, of course, Peter had.) I should also note that this model is similar in spirit to the work of Sharon Gifford, now 20 years old, which Dessein et al. do not cite. That’s the title of a new NBER paper by Philippe Aghion, Nicholas Bloom, and John Van Reenen, indicating that organization design, from the perspective of incomplete-contracting theory, continues to be a hot topic among the top economists. Like all NBER papers this one is gated, but intrepid readers may be able to locate a freebie. 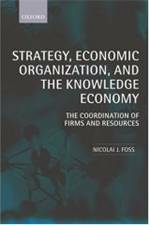 We survey the theoretical and empirical literature on decentralization within firms. We first discuss how the concept of incomplete contracts shapes our views about the organization of decision-making within firms. We then overview the empirical evidence on the determinants of decentralization and on the effects of decentralization on firm performance. A number of factors highlighted in the theory are shown to be important in accounting for delegation, such as heterogeneity and congruence of preferences as proxied by trust. Empirically, competition, human capital and IT also appear to foster decentralization. There are substantial gaps between theoretical and empirical work and we suggest avenues for future research in bridging this gap. This summer I am directing a two-week summer school on “Modularity and Design for Innovation,” July 1-12. I am working closely with Carliss Baldwin, who will be the featured speaker. Other guest speakers will include Stefano Brusoni, Annabelle Gawer, Luigi Marengo, and Jason Woodard. The school is intended for Ph.D. students, post-docs, and newly minted researchers in technology and operations management, strategy, finance, and the economics of organizations and institutions. The school provides meals and accommodations at the beautiful Hotel Villa Madruzzo outside Trento. Students have to provide their own travel. More information and application here. This is the fourteenth in a series of summer schools organized at Trento by Enrico Zaninotto and Axel Leijonhufvud. In 2004, I directed one on institutional economics.